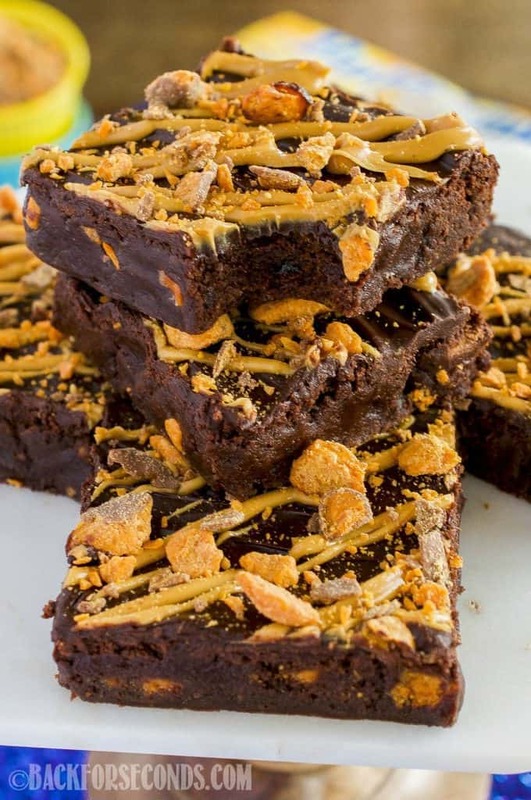 Homemade Butterfinger Fudge Brownies are a rich, fudgy treat always met with rave reviews. An easy dessert perfect for chocolate and peanut butter lovers! I’ve told you before, and if you’ve been a reader for any length of time, it’s probably pretty obvious: brownies are my favorite dessert. I don’t care if they’re Birthday Cake Brownies , No Bake Reese’s Pieces Peanut Butter Cheesecake Brownies, Salted Caramel Turtle Brownies, or plain and simple. As long as they are fudgy (not cakey) I’m all over them! 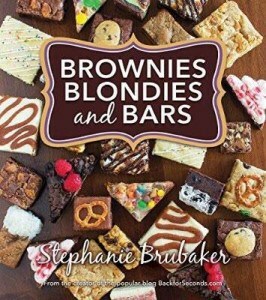 There are tons of brownie recipes here on Back for Seconds, and I’ve written a cookbook filled with 50 recipes for various BROWNIES, BLONDIES, AND BARS. Honestly, I don’t see any end in sight. What can I say? 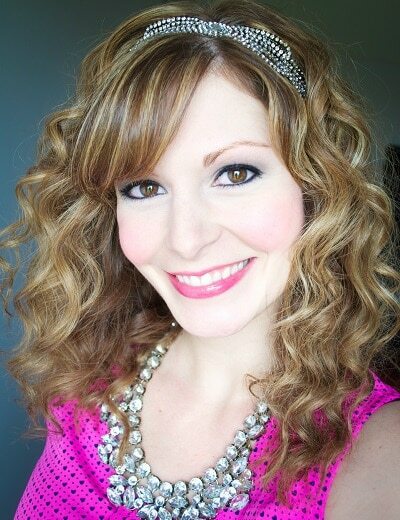 Brownies inspire me and I always have a running list of new ideas circling around in my mind. I have a feeling no one is going to mind the ongoing string of brownie recipes. You all seem to love them as much as I do! Another thing you all seem to love is Butterfingers! When I made this No Bake Butterfinger Cheesecake Pie and these Brown Butter Butterfinger Cookies, you pinned them, made them, and loved them! That pie is my husbands favorite, and I have made it several times now at his request. 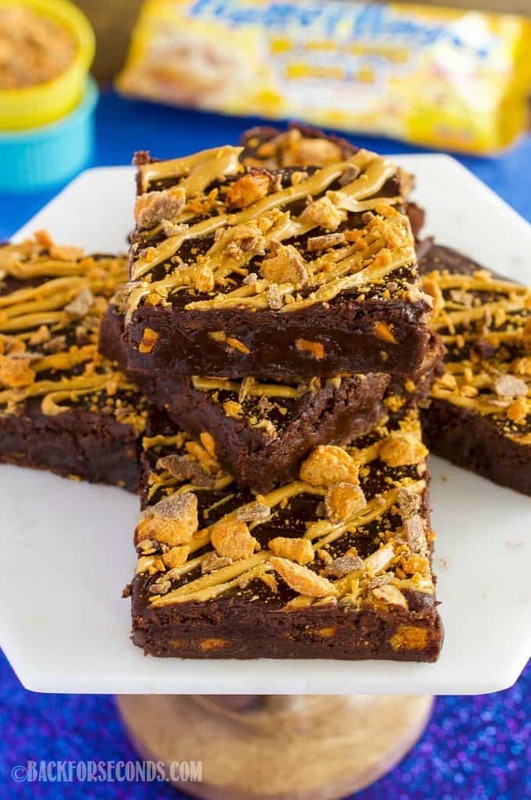 So with our mutual love for brownies and butterfingers, I eagerly got in the kitchen and combined the two to make one of the best brownies ever! 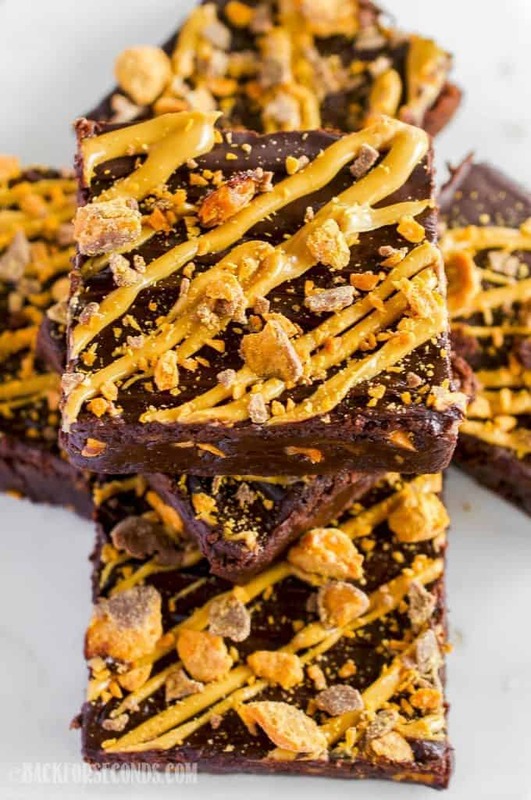 Obviously, chocolate and peanut butter is completely irresistible, and the combination of rich, fudgy brownies, smooth chocolate ganache, crispy crunchy Butterfingers, and salty peanut butter is nothing less than dreamy!